What Will it Take to Make Us Better Prepared for Life's Disasters? In this world of live TV broadcasting, it's likely few have missed witnessing the disaster caused by Hurricane Katrina. An overwhelming sense of helplessness permeates the lives of thousands of victims in New Orleans and other affected areas of Louisiana, Mississippi and Alabama. You need cold steel in your heart and ice water in your veins to not be mournful of their bright. The pattern of Katrina prior to its cataclysmous route was coined by some to be "nothing to worry about" as it whirled 95 miles per hour gains through portions of Miami incidentally causing about 100 millions dollars of estimated damage. And, this was before it locked its sight on New Orleans. Why do people pretended certain things will not happen to them? Like dying prematurely … or becoming disabled … or running out of food and water. Even when a crisis situation is up close and in our face we tend to quickly dismiss it. For example, the car accident scene we just passed as paramedics were placing severely injured passengers into the ambulance. You could see pools of blood on the street and twisted metal with broken glass strewn everywhere. Then, once beyond the accident scene we be accelerating to speeds excessively over the posted limits. Out of sight … out of mind. Why will not we take these real life experiences seriously enough to prepare for the worst? On Aug. 24, 1992, Hurricane Andrew slammed into South Florida. It wiped out Homestead, Florida City and parts of Miami before continuing northwest across the Gulf of Mexico to strike the Louisiana coastline. The storm was responsible for 40 deaths and $ 30-billion in property damage. At the time, it was the costliest disaster in US history. We have only just begun to calculate the cost of Hurricane Katrina. More than likely, it will be beyond our capacity to imagine. During August and September 2004, Florida was lambasted by Hurricanes Charley, Dennis, Ivan and Jeanne. The damage was astounding and perplex foretold of things to come – like Katrina. So, why do not we better prepare for these dramas of Mother Nature? Why do we ignore the fact that what happened before will most assuredly happen again? On September 11, 1992 (less than one month after Andrew) Hurricane Iniki leased every telephone pole and hundreds of trees on the Island of Kauai in Hawaii. Fortunately no one was killed and yet the preparation for this disaster was delayed because it was originally forecast to be less severe. Planning for any disaster is filled with complications. Various departments of local, state and federal governments often clash due to opposing viewpoints or budget constraints. Interesting is not it? When panic is upon us … when the disaster has stuck … more often than not we rise to the occasion. 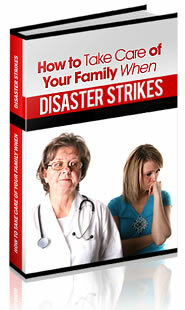 And yet, we frequently fail to prepare for future disasters that could threaten the lives of our own family. If we were as smart as we are compassionate, we would help ourselves and our families by storing provisions to be used, if necessary, for our survival. More information can be found at: http://www.survival-center.com . Compassion seems to come easier than wisdom. Is this because it's easier to write a check than to spend time making a plan for our own survival? But do our checks really go to help those we care about? Even the Red Cross admits there are times funds end up being distributed to parties other than those designated by the contributors. Here's a suggestion for the current victim relief effort. Go to: http://www.jw-media.org and follow the commentary about Katrina. I'm confident monetary contributions sent to these folks will actually help our needy friends in the bayou. By the way, I am not affiliated with either of the two recommended organizations … and I have a great deal of respect for the work of the Red Cross and its recent effort to honor the requested allocation of the donors.